For comparison, here is a plant that is not doing well. It is one of the three “Afghan Kush x Double Gum” cross plants in the grow. This plant has lagged behind from the start, although the others are exactly the size of the RQSxDG pictured above. Sometimes a “runt” does show up! This is one of the reasons I always recommend that first time growers grow two plants and then pick the strongest of the two to take into flowering. Notice the stunted look to the leaves – they don’t have the length and width of the previous pictured plants, and the color is a pale greenish yellow. In particular, the new growth leaves at the top look wrinkled and “mini”. Hey – this happens! In the wild, this plant would simply be overshadowed by taller neighbors and eventually just fade away. Why did this happen to this plant? My guess is simply that the genetic “roll of the dice” wasn’t particularly kind to this specimen. 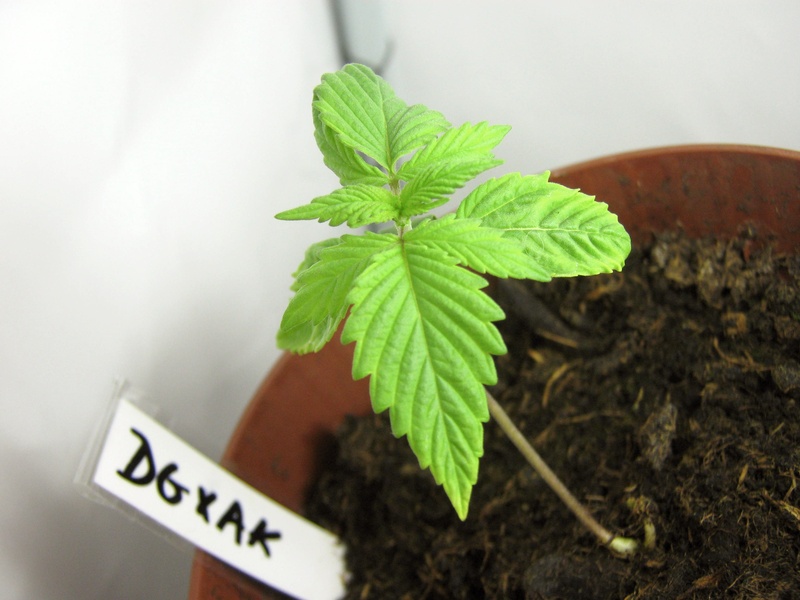 As this grow progresses, the different traits of each plant will become apparent – it will be very interesting to see how the “daddy” Double Gum plant’s offspring look with both the Afghan Kush mother and Royal Automatic mother plants. And all this under 100 watts – get yer popcorn ready! 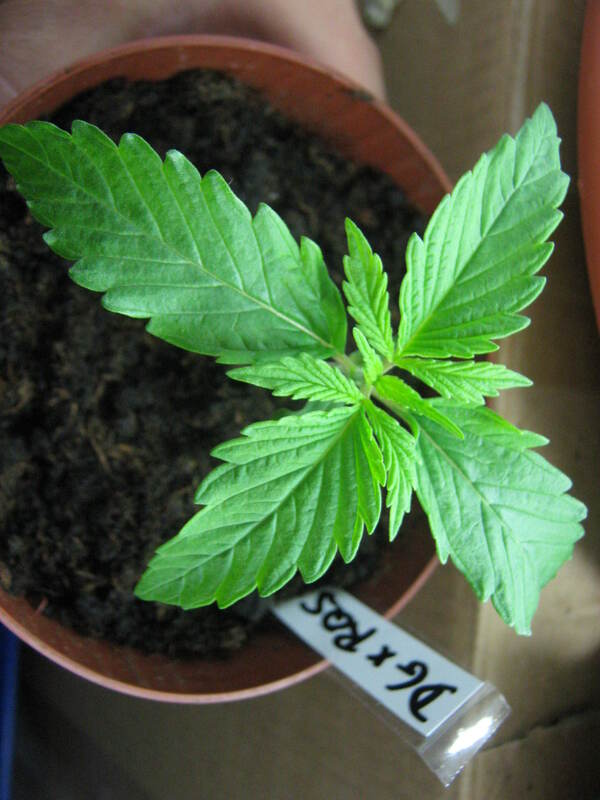 Tags: 100 watt cfl 10 days, 100 watt cfl 2 weeks, 2 week old cannabis, 2 week old marijuana, grow tips, how does grass look at 2 weeks, how does marijuana look at 2 weeks, why is my marijuana plant small?